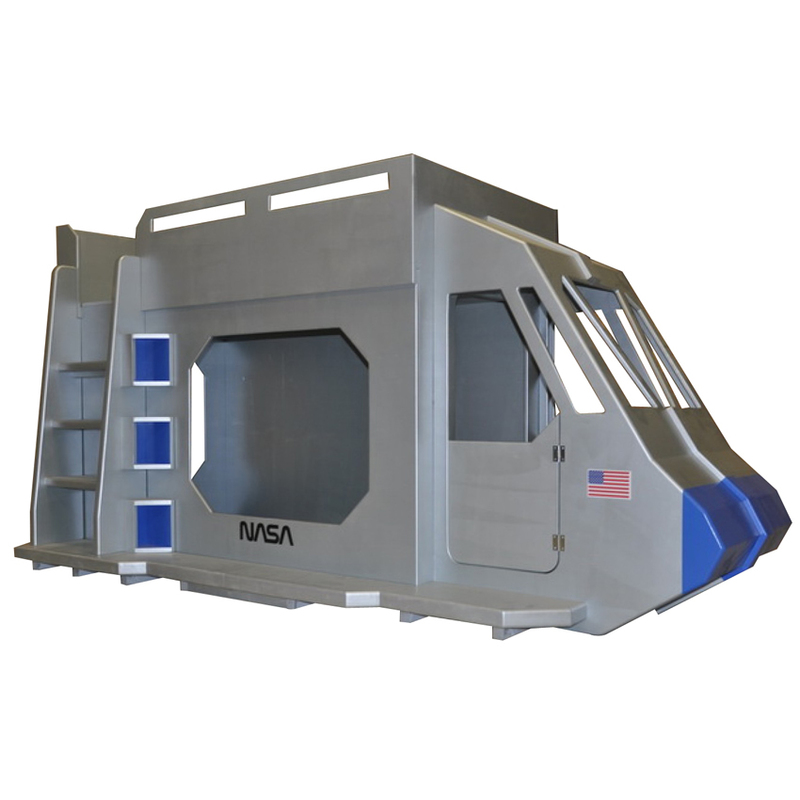 Rocket Ship Twin Over Full Bunk Bed with Custom Options - Our popular space shuttle theme bed is now available as a twin over full bunk bed! The sleek, angled lines make this a very attractive design. The cockpit at the front of the rocket ship includes a bench for two. Optional fun features include a dashboard decal for more pretend fun. You can also add a slide and a launch tower with rock climbing wall. 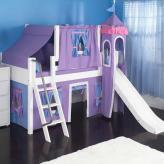 It can be a bed and indoor playground in one! 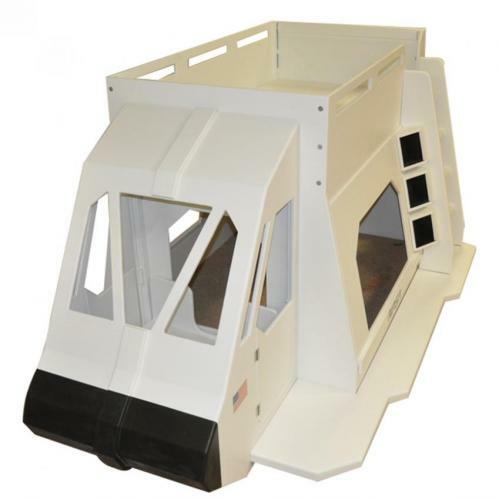 You can customize your bed colors or personalize the cockpit door with your little captain's name. 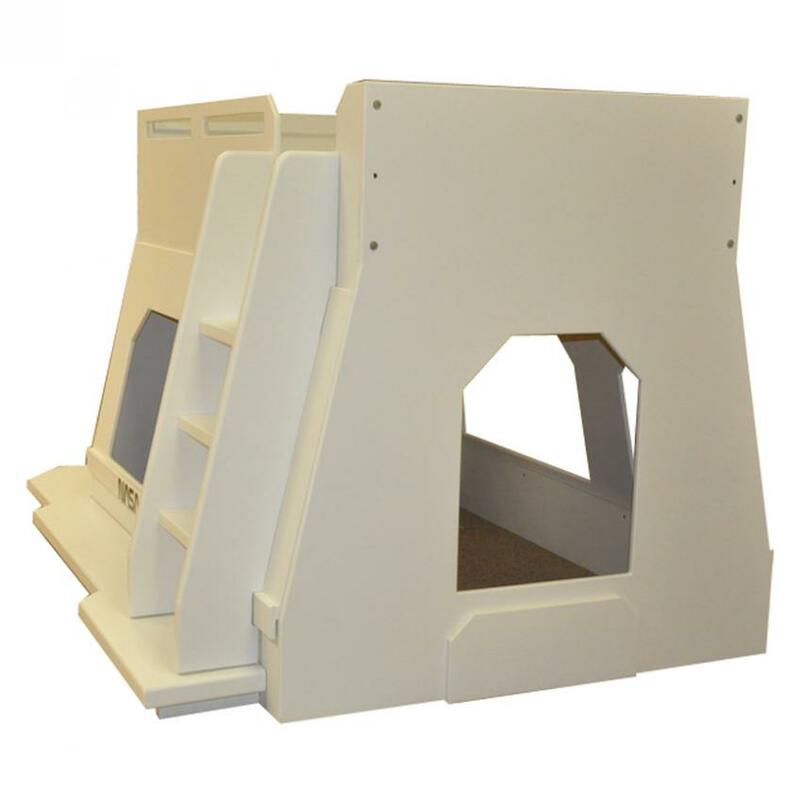 Read more about these options below and let us know how we can customize our twin over full rocket ship bunk bed to make it out of this world! 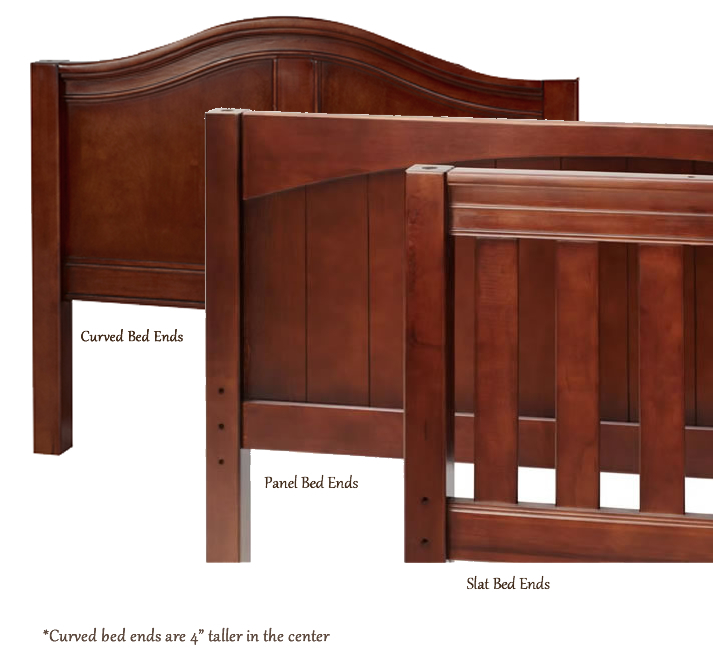 Click here to see the space shuttle bed in a twin over twin or full over full version. 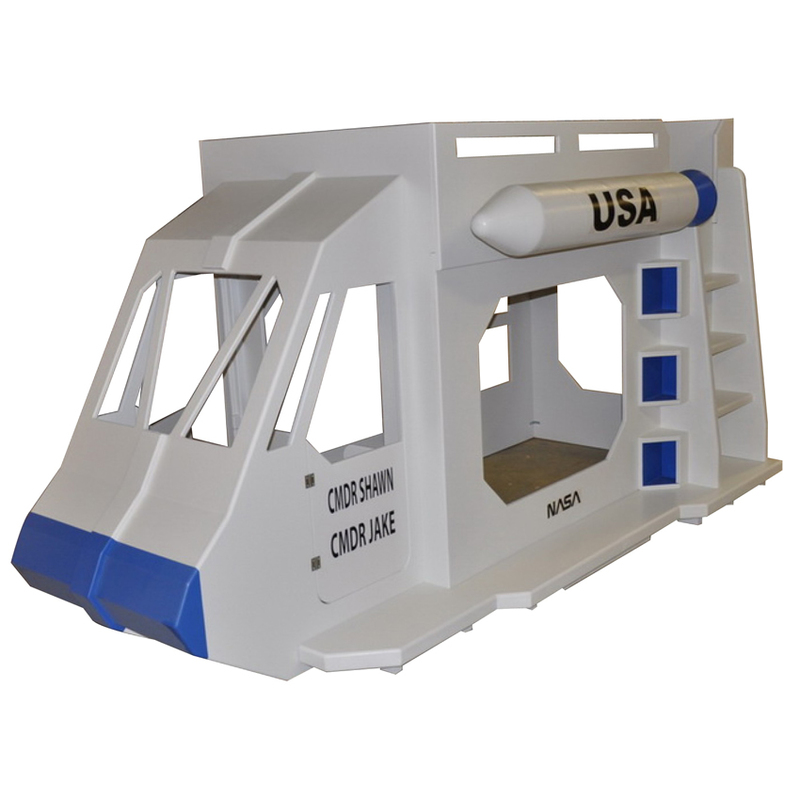 Contact us for depth based on custom options. 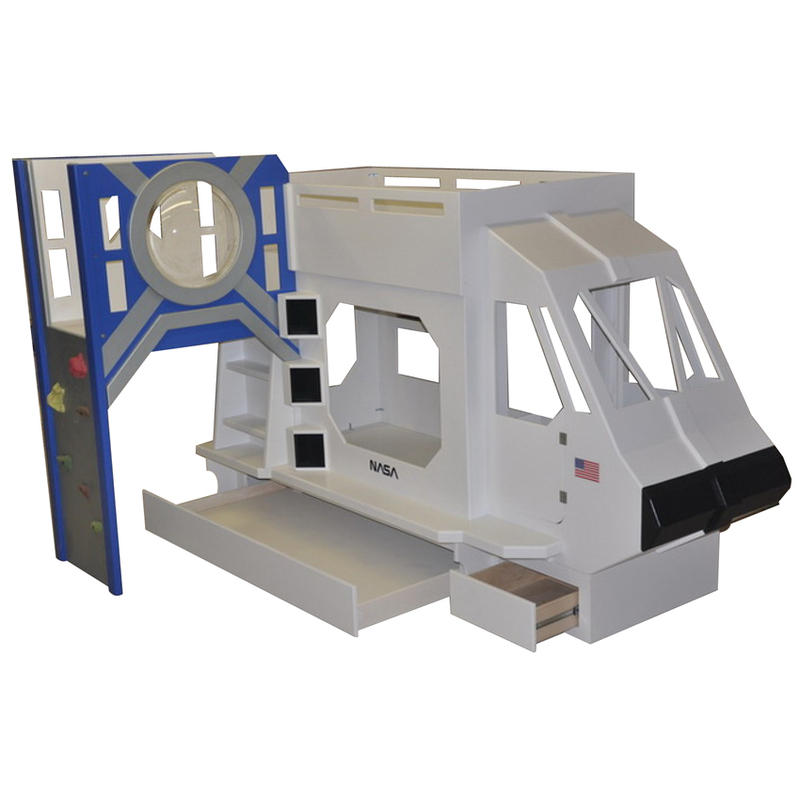 Personalization: We can add your child's name to the cockpit door showing that he's commander of the rocket ship. 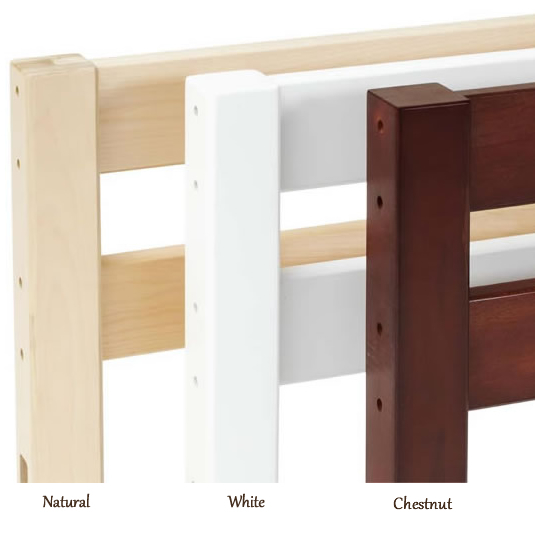 Freight Options: We list a base rate for the twin over full space shuttle bunk bed. If you add any of the options labeled Upgrade #1, Upgrade #2, or Upgrade #3, the shipping rate will be slightly higher due to the added weight and size. If you don't add any of these options, you'll pay the base rate only.